The railway to Kingswear is one of the area’s most attractive day’s out for many visitors. More than a million people use it every year, perhaps because of the dramatic and beautiful views that greet travellers as they chug from Churston to Kinsgwear. But this rugged beauty made the job of building the line an attritional and costly enterprise – which almost bankrupted those who paid for it but brought a new age of prosperity to Dartmouth and Kingswear. With the end of the Newfoundland trade – which had made the fortunes of a number of the area’s families – and the depression following the Napoleonic Wars, things did not look good at the beginning of the 19th Century for the area. Poor communication and transport links made Dartmouth and Kinsgwear seem isolated and parochial in the extreme. But then, suddenly, the industrial revolution started to have an affect – quite late when you consider the man who started it, Thomas Newcomen, had been born in Dartmouth. Coaling bunkers arrived in the harbour in 1850, making it an attractive stop off for the growing number of steam ships sailing in British waters. Southampton had a rail link direct to London –and traders were concerned that the lack of connection would harm business. However a gentleman called Isambard Kingdom Brunel had not put Dartmouth and Kingswear into his plans for his “Great Western” line – and was not going to. So the branch line was opened to Torquay in 1848 and was not going to come any further. Dartmouth’s own Charles Seale Hayne, supported by his Uncle Sir Henry Seale, formed the Dartmouth and Torbay Railway company and campaigned to have the line extended from Torquay to Kingswear. It must have been a worrying time for Seale Hayne as he worked to gain the approval having taken on the whole financial responsibility for the company. But in 1857 an Act of Parliament gave approval to the project and allowed work to begin. The extension of the branch line would first be built from Torquay to Paignton, then to Churston and finally on to Kingswear. The cost to Seale Hayne was projected at £90,000 – more than £3million today. But as anyone who has travelled between Paignton and Kingswear will tell you, there is some tricky terrain to overcome and build on. There are lots of different gradients and other geological problems – not least the need for a tunnel, which can be hellishly expensive to do. The work went slowly, much more slowly than hoped – and the cost began to mount. Two years after work began, Paignton Station opened. In the same year Seale Hayne found himself mixed up in a political scandal due to the railway. He was supposed to stand as a Liberal Party candidate for the area, but stood aside for a gentleman called Schenley – after Schenley promised to invest £3,000 in the railway company. He was later found to have bought the votes of many voters with the not inconsiderable sum of £1,400 (£60,000 today). Although Charles Seale Hayne was found to have done no wrong in the matter, it showed how desperate he was for funds – that he gave up the chance at political power to keep the build going. He was an ambitious mover and shaker, a solicitor who was determined to further his own career and the fortunes of Dartmouth, which had been flagging. But he had to bring in more money to get his dream finished. Part of his plan was to bring the line direct to Dartmouth itself, across a bridge below Greenway. But the Greenway estate owners were adamant the line would not cross their land – and Seale Hayne was forced to direct the line all the way to Kingswear. 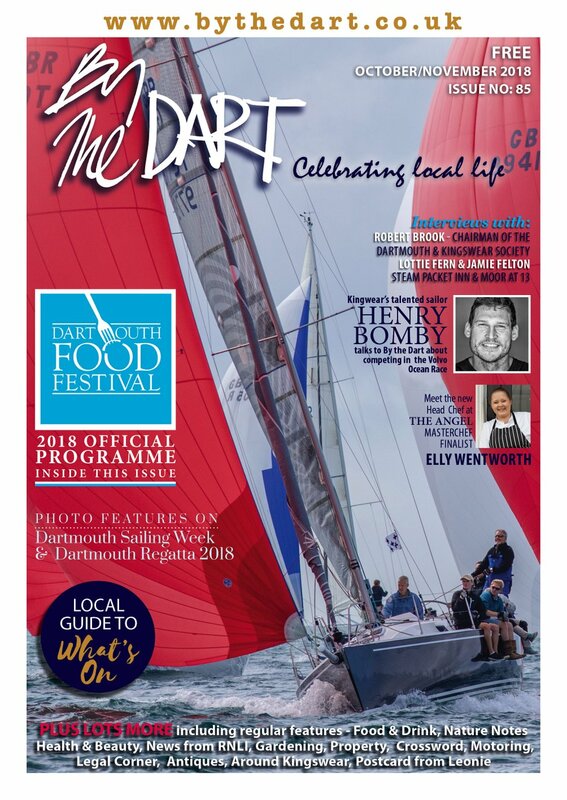 If he had been successful, it’s interesting to think how the two places, Kingswear and Dartmouth, would have developed: where Dart Marina is now, formerly the Sandquay boat yard, would have been railway sidings and warehouses – would the BRNC have been built? How would Kingswear have developed without the huge influx of passengers right into its heart? However it DID come to Kingswear and, after seven years of construction, it opened to much fanfare in the Regatta week of 1864. Seale Hayne had achieved his goal – but at a massive cost. The total bill for bringing the single line to Kingswear had been £262,000 – three times the original estimate. 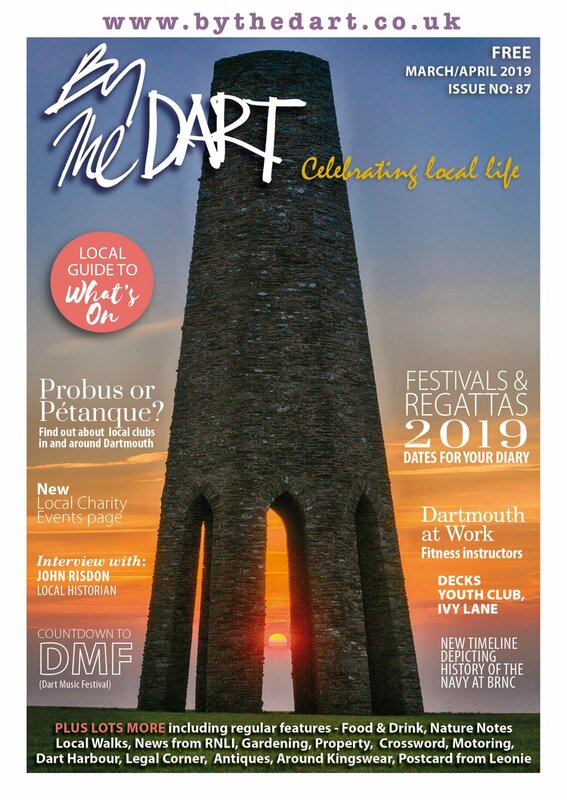 The first few years of the railway were not easy, despite the passengers it brought forming part of a renaissance for the town of Dartmouth – which had also been boosted by the arrival of the Britannia cadet training ship in 1863. Seale Hayne bought and rebuilt the ‘Plume of Feathers’ pub and created the still-trading Royal Dart Hotel to capitalise on the passengers arriving at its doors from the train. The company also bought a paddle steamer in 1869 to take passengers across the river – the Dolphin was pointed at both ends to allow it to go back and forth without turning. It remained in service until 1908. The boat that replaced it, the Mew lasted a further 46 years before being replaced. But it was clear the line was losing money and in 1876 it was amalgamated, along with most branch lines in the South West, into the Great Western Railway. This change would eventually herald the end of the line’s association with Isambard Kingdom Brunel’s famous ‘Broad Gauge’ tracks. They were seven feet wide – which the great man claimed was best for stability and also allowed individual trains to carry more freight or passengers, increasing profitability. But most of the rail network was set on the ‘Standard Gauge’, four foot eight inches. This created headaches as rolling stock could not be used on both. So the standard gauge was installed in 1892, the year the entire network was taken across to Standard Gauge. The line continued to operate - becoming a double line in 1908 – and formed a link all the way to London that many felt was vital to the harbour. The railways were nationalized in 1948 – and in 1970 news was released that the Kingswear Branch line would be closed. It duly closed in 1972 and was sold to the South Devon Railway – a group of enthusiasts. 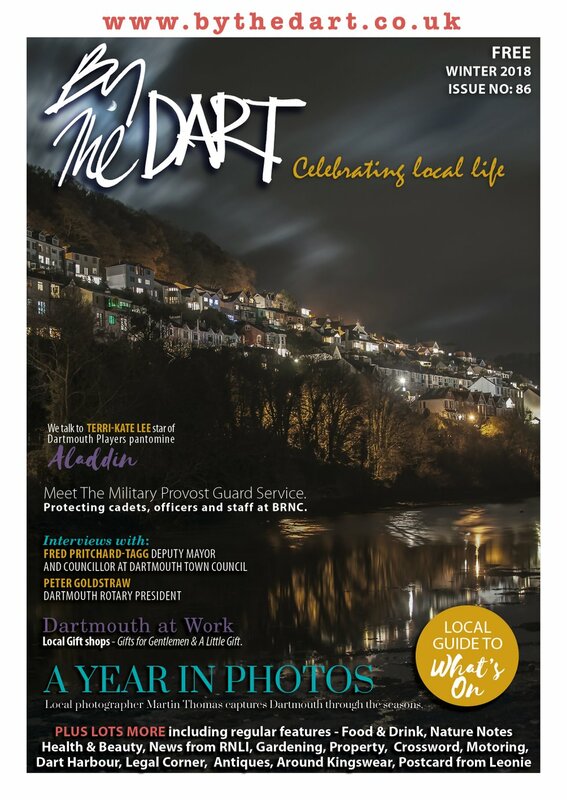 It has become one of the most successful heritage railway lines in the country – bringing hundreds of thousands into the heart of Dartmouth Harbour, much as Charles Seale Hayne hoped the line would. Seale Hayne himself left the town of Dartmouth after becoming embroiled in the arguments over the building of the Embankment. He became MP for Ashburton in 1885 and was Paymaster General under Gladstone from 1892-95. He left a massive fund on his death to build an agricultural college near Newton Abbot.